Posted March 2nd, 2006 by Ms. Jen & filed under tech + web dev. 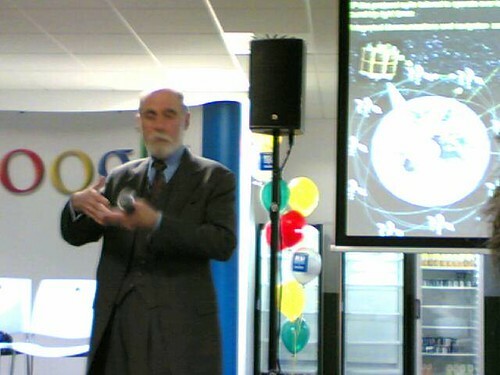 Thu 03/02/2006 20:31 – This evening I had an opportunity to go hear TCP/IP co-creator, chairman of ICANN, JPL/NASA Mars Deep Space Network, and Google Evangelist speak at the Google Ireland cafeteria. Dr. Vinton Cerf spoke on the history and future of the Internet Protocol, as well as answering a wide variety of questions. It was a delight. Posted March 1st, 2006 by Ms. Jen & filed under ah, ireland. 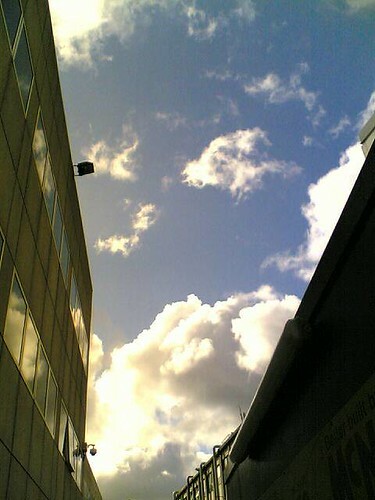 Wed 03/01/2006 12:00 : Today I thankful that Spring is just around the corner, the skies are big & fluffy today, as well as the fact that our afternoon class was cancelled today, but most of all for the lengthing daylight AND that SXSW is a mere 9 days away!